MILLIGAN COLLEGE, TN (Nov. 4, 2013) — The Milligan College Jazz Ensemble will present “A Salute to the Big Bands” on Monday, Nov. 25, at 7:30 p.m. in the Mary B. Martin Auditorium of Seeger Memorial Chapel. The concert is free and open to the public. Under the direction of Rick Simerly, the 22-piece ensemble will pay homage to a legendary jazz era. The concert also features guest piano soloist Charles Goodwin, veteran sideman of some of the swing era’s most popular bands. 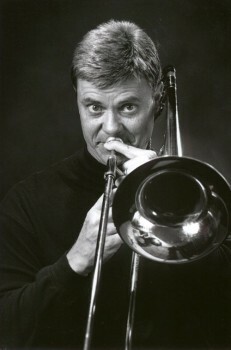 Goodwin organized his first band in 1948 and has performed more than 1,000 concerts and special events throughout the southeastern United States. This Milligan Jazz Ensemble consists of students as well as adults from throughout the region. Featured soloists with the group will be: Nate Andrew, Tyler McElfresh, Sloan Hill, Jacob Pitts, Steven Cooper and Shane Ladd on the trumpet; Mike Boggs and Mike McConnell, trombone; Joshua Dunn and Stacia Brown, saxophone; Mark Thie, piano; Glenn Diamond, bass; and Eddie Dalton, drums. Music will be featured from the libraries of Glenn Miller, Benny Goodman, Tommy Dorsey, Harry James, Count Basie and Duke Ellington. In addition, the Charles Goodwin Trio, consisting of Charles Goodwin on piano, Fred Goodwin on bass and Eddie Dalton on drums, will perform on several selected numbers. For more information, contact the Milligan music area at 423.461.8723 or visit www.milligan.edu/arts. Posted by tommy on November 4, 2013.